Learn how to create a peel effect in Photoshop using some simple selection and cutting techniques. The list contains a peeled head effect as well as other parts of the body like hands for example. You will also find some other interesting Photoshop portrait effects like hollow head, cracked skin, head stack and so on. I hope you will enjoy this new collection of Photoshop tutorials and that you will learn some new tips. 3 comment(s) for "Create Peel Head and Other Portrait Effects in Photoshop"
In this tutorial, you will learn how to create an eye-catching portrait illusion. 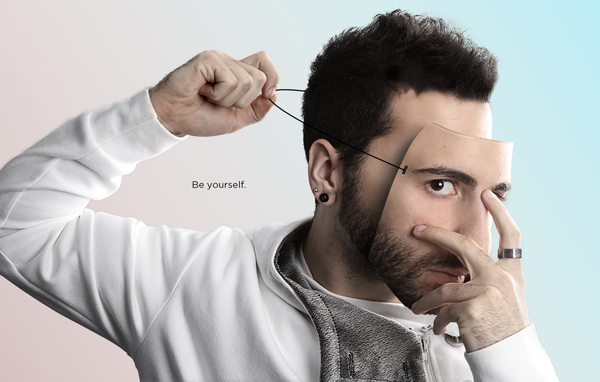 This tutorial covers the simple techniques used to create a mask out of a human face.